When you’re ready to grill or ready to roll, our safety-conscious, trained professionals are on hand to fill your portable propane bottles for backyard grilling, camp stove cooking or running your RV’s appliances. We also carry propane equipment including hoses, regulators and fittings. Remember: All propane bottles MUST be recertified 12 years after the manufacture date (found on the safety flange), then recertified every five years after that. They can’t be refilled if they’re not certified. We want our customers to be safe when using portable propane bottles. We provide competitively priced propane for our customers throughout the Roaring Fork Valley and beyond. Our knowledgeable and experienced sales staff and drivers ensure that you have the products to meet your farm, ranch and home needs. 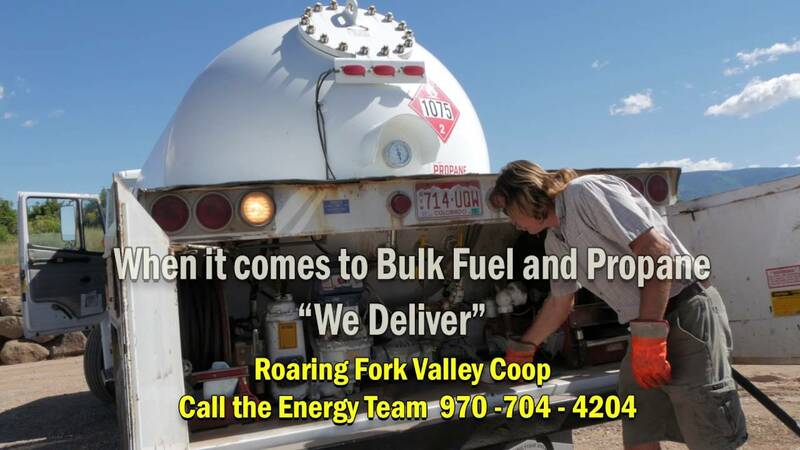 Call Miranda in the Energy Department at (970) 704-4211 today to set up bulk propane delivery!